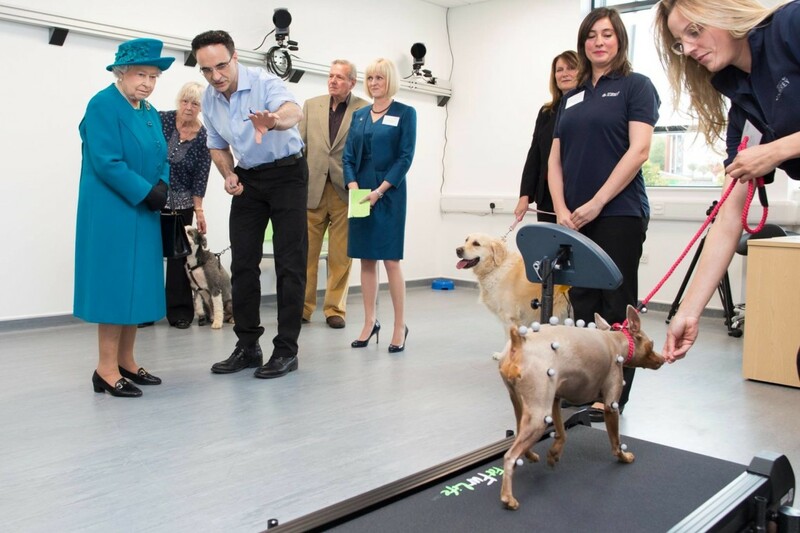 On the 15th October The University of Surrey opened the UK’s eighth School of Veterinary Medicine, officially launched by Her Majesty the Queen. 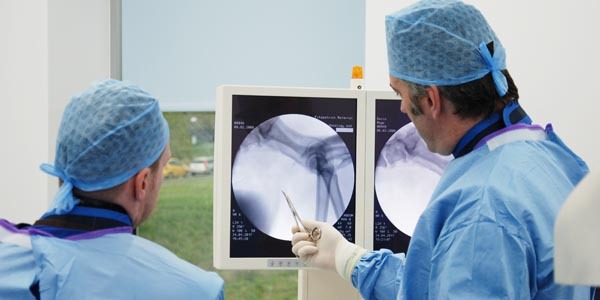 Fitzpatrick Referrals is one of nine key strategic partners involved with teaching and research at the School. We are committed to sharing of knowledge and experience with aspiring Veterinary Professionals who are deeply passionate about the animals they serve and want to make a real difference to society through their profession. 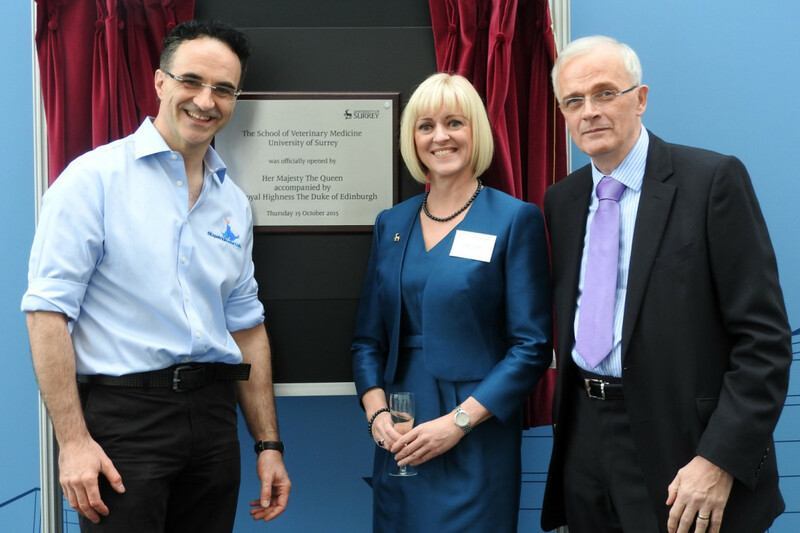 The School of Veterinary Medicine started with a group dedicated people including Professor Noel Fitzpatrick and Professor Sir Christopher Snowden who together had the vision that it was not only possible but that it was the right time to build what could become one of the foremost Veterinary Schools in the world. Together with our colleagues, we achieved our vision of a world-class new Veterinary School. Future generations of Vets will benefit from these fantastic new facilities, outstanding staff and curriculum. Since the very beginning when there were only a handful of us in a room deciding to travel this journey together, we knew there would be only one reason big enough, and that reason wasn’t just to provide the most magnificent buildings which we are opening today, it wasn’t just that the University of Surrey could build one of the greatest vet schools in the world, it was because we wanted to light an unquenchable fire in the bellies of students yearning to look after all animals and the health of all species. We only have one planet, we are all animals upon it; vets look after all implants, drugs, food provision, disease vigilance and animal habitats globally, and we should therefore only have one medicine. My dream was for a vet school that wouldn’t just say we adopted a one health initiative where both humans and animals would win, we want to be right at the core of a revolution in one medicine. We want to innovate, inspire and invigorate young people that they truly can become the advocates of animals globally. We want to encourage our students to explore extra-mural studies in a wider range of settings, to gain a deeper understanding of what makes learning relevant and exciting. I would like to thank Professor Sir Christopher Snowden for his visionary commitment to this vet school; there is no question that this school would never have happened without him. Special thanks and congratulations should also go to Professor Roberto Marcello La Ragione and Professor Lisa Roberts without whose efforts the early stages of the new vet school would never have taken root and grown to where we are today. We are all deeply indebted to their hard work, dedication and tenacity. Without the vision and ambition of The University of Surrey and the core group of founding partners, we would not have reached this incredible milestone. 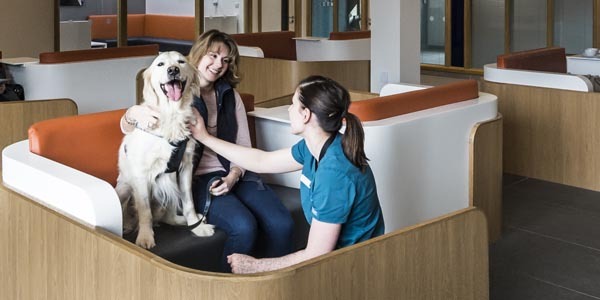 Fitzpatrick Referrals is proud to be integral to this journey and we look forward to welcoming the vets of the future to our two hospitals, both of which are within a short distance of the new school. 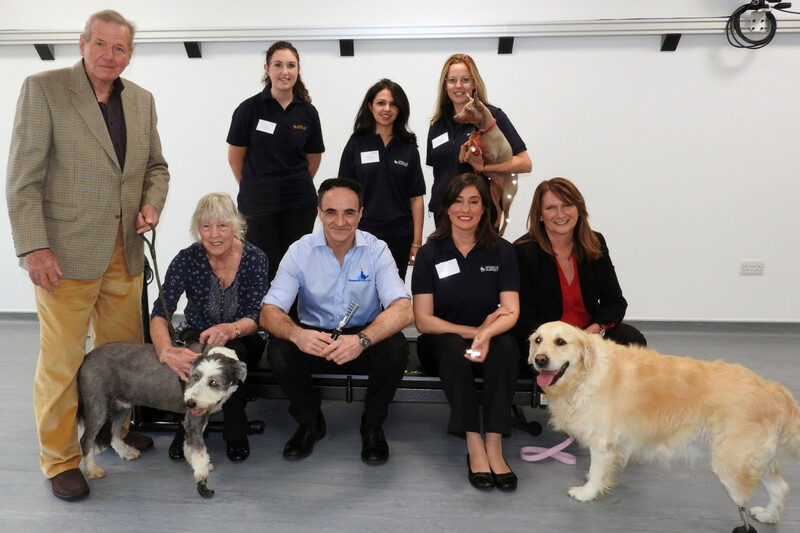 We hope that students will truly be inspired at the clinical coalface within our hospitals catering for animals affected by soft tissue, orthopaedic, neurologic and cancer disorders. 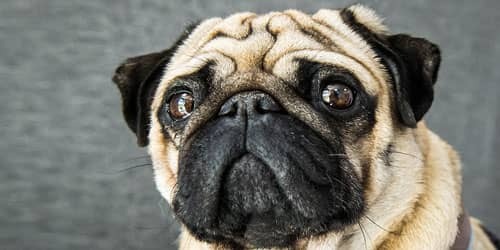 Furthermore, the philosophy or One Medicine One Health that underpins our clinical practice and our research will have far-reaching benefits for all species on Earth and will propel human medicine forward in tandem with veterinary medicine. The buildings and facilities are truly spectacular, but the ambition to lead the world in showing that human and animal health is intrinsically linked both in the clinics and in research environments through our partnership, is truly ground-breaking and will change the face of medicine forever. This paradigm shift will reverse the trend of 250 years of divergence between human and animal medicine and re-converge their paths with integrity of purpose for the health of all species. We will inspire the animal ambassadors of the future and through their skills and knowledge, and also through their compassion for all life on Earth, they will play a pivotal role not just in the veterinary world but also in a wider world that badly needs their hearts and their minds to shine brightly in lighting the way forward. Today was a truly magnificent day and to have Her Majesty and His Royal Highness here to celebrate our love for all animals on Earth was humbling, joyous and a landmark day for Surrey and for Veterinary Medicine. 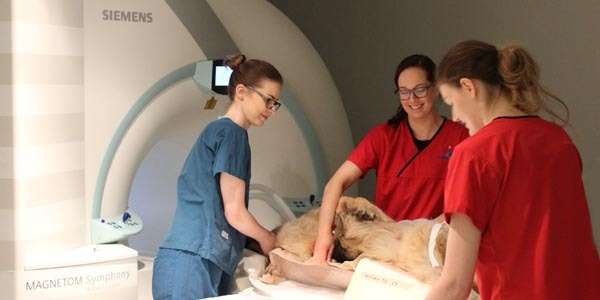 Fitzpatrick Referrals is proud to be part of this seismic revolution in veterinary education and proud to fuel our moral responsibility for the animal kingdom globally.